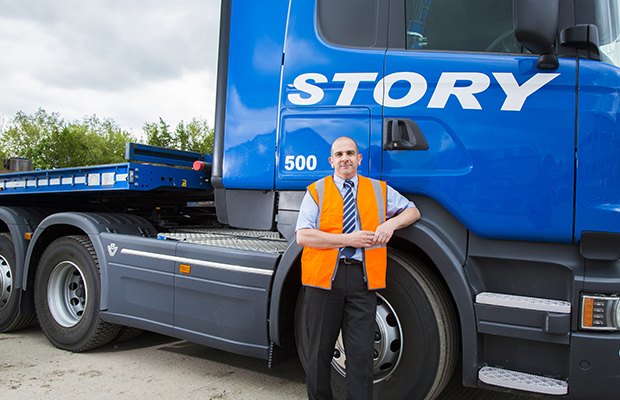 145 staff joined Story Contracting over the last year, setting a new record for the number of new recruits in a year by the company. This takes Story Contracting’s workforce to 500 for the first time in their 29 years of operating. As the company looks to build on its successful reputation in the rail, construction and plant hire industries a focus is on building teams in Carlisle, Leeds, Glasgow and Edinburgh. Carl Scott, employee 500 joined Story Contracting as Stores Manger. Working within our busy Plant Division, Carl will be based at our Burgh Road depot, Carlisle. As Stores Manager, Carl’s day to day responsibility will involve managing an already strong stores team to provide continued effective and efficient supply and hire of small plant and consumables. Carl will be continually looking for improvement opportunities. This expansion at Story Contracting supports new work for Network Rail’s contractual frameworks along with major projects in the Construction and the Plant divisions. Each division is supported by an expanding Central Services function with new roles established in Accounts, Finance, Marketing and Human Resources. With an increased work bank over the next five years secured, the opportunities for local employment are very encouraging. View all Story Contracting’s current vacancies here.